Does Scotland have a right to secede? What is perhaps most striking about the debate regarding Scottish independence is not what people are saying but what they are ignoring. When one brings the philosophical literature on secession to bear on the public debate one notices that a number of points are being assumed that require defence. In this article, I wish to address a crucial assumption made on both sides, by the No camp as much as the Yes camp, by the UK government as much as the SNP: the assumption that Scotland has a right to unilaterally decide it’s future. What gives Scotland a moral right to secede anyway? One plausible view of secession is that an area of a state only has a right to secede if it is suffering serious forms of abuse. Something close to this view is defended by perhaps the most prominent theorist of secession, Allen Buchanan. It is also the view invoked in the world’s most famous secessionist document, the US Declaration of Independence. According to the Declaration, “Governments long established should not be changed for light and transient causes”. Secession can only be justified in light of “a long train of abuses”. 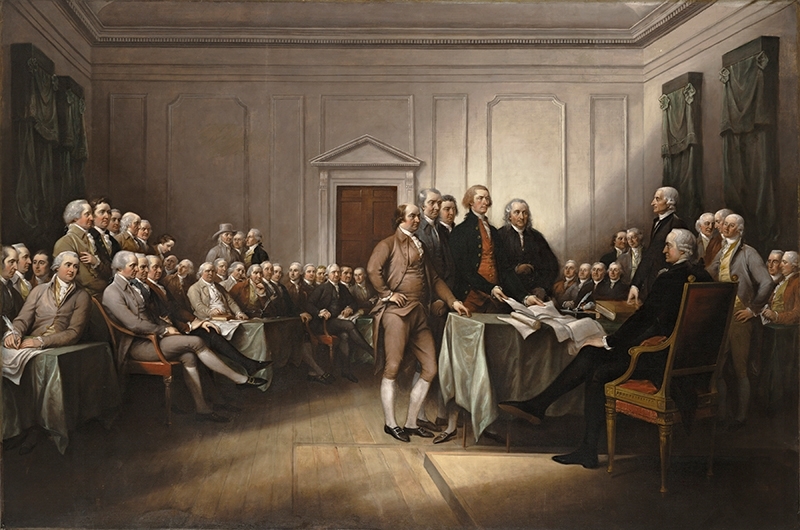 It was the long train of abuses that George III had supposedly inflicted against the thirteen colonies that, in the eyes of the Founding Fathers, justified their bid for secession. What “long train of abuses” can the residents of Scotland complain of? Alex Salmond might try to construct a list of this sort. But what about David Cameron? 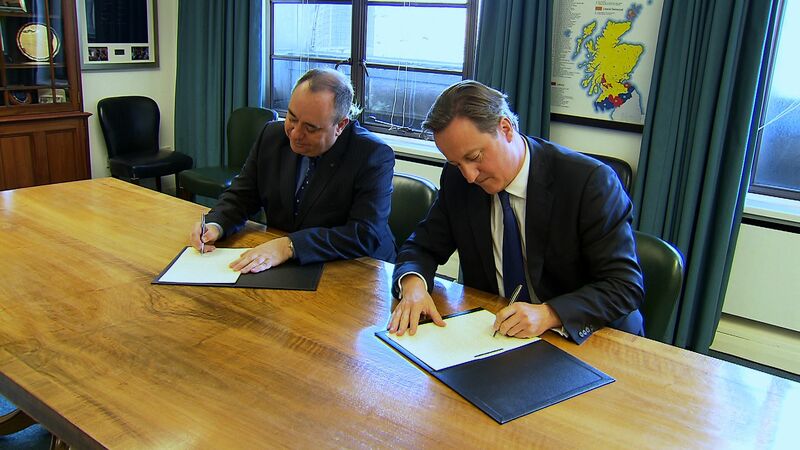 It was Cameron, recall, who signed the Edinburgh Agreement that set the referendum in motion. Cameron clearly does not think that Scotland has suffered a long train of abuses, so why did he sign the agreement? Why did he not adopt the stance taken by the Spanish Prime Minister, Mariano Rajoy, in relation to Catalonia and refuse to permit a referendum to take place? One obvious response is that the Scottish independence referendum is what democracy demands. The SNP won the 2011 Scottish Parliamentary election. It would have been undemocratic to deny Scottish residents an independence referendum when they had signalled, by voting SNP, that the referendum is something they desired. But if a referendum is to take place, why should only Scottish residents be given a vote? Much has been written on the fact that the 753,286 Scottish people living outside of Scotland will not be able to vote in the referendum (while the 366,755 English people living in Scotland will) but little has been written on the arguably more important fact that non-Scottish people living outside of Scotland cannot vote. Why shouldn’t the people of England, Wales and Northern Ireland get a vote as to whether their state is divided? To say that it is not an issue that affects them is simply untrue. It does affect them: militarily, economically and, for many, emotionally since they regard the union with Scotland as important to their national identity. In short, the democracy argument for secession quickly lands us in what some philosophers have termed the “boundary problem”: the fact that before we can decide something democratically we must first decide who belongs to the demos. One candidate solution to the boundary problem, the “all-affected-interests principle”, would not endorse a Scotland only electorate. The Founding Fathers thought that secession could only be justified in light of a “long train of abuses”. What “long train of abuses” can Scotland complain of? Perhaps a better argument for restricting the vote to Scottish residents is that Scotland is a nation and as a nation it has a right to self-determination. Here we encounter the principle of national self-determination over which so much ink, and blood, has already been spilled. I have nothing to say regarding the principle apart from to note one of its obvious drawbacks: its inability to resolve matters when more than one nation claims a portion of territory. Many people, inside and outside of Scotland, believe that there is such a thing as a British nation, not just a British state. (For the state/nation distinction see here). Assuming that they are right, does the British nation not have just as much of a right to national self-determination as Scotland? If so, shouldn’t everyone who belongs to the British nation get a vote, not just those in Scotland? Let’s try another tack. Perhaps, we could view Scotland as some sort of giant club. Ordinarily, people can set up clubs – golf clubs, debating societies, whiskey-tasting associations etc. – if they so want. And ordinarily it is up to the members of clubs to decide which other clubs they wish to affiliate to. So why can’t Club Scotland decide whether or not it is affiliated to Club UK? Club UK should have no say in the matter. It is not up to umbrella organisations to decide whether or not their affiliates stay affiliated. (Or to use another analogy, invoked here, one does not, in modern times, need one’s spouse’s consent in order to get a divorce). This “freedom of association argument” seems to do better than the democracy and national self-determination arguments in justifying the restriction of voting rights to Scottish residents. Unfortunately it also has at least one strange implication. For if any group of people can secede by invoking a right to freedom of association, then there seems no reason why seceding groups must be the size of nations. Edinburgh could declare independence from an independent Scotland. Leith could declare independence from an independent Edinburgh. And so on. In fact, in the Scottish case, this objection from repeated secession has particular resonance since the MSPs for Shetland and Orkney have discussed the possibility of seceding from Scotland, in the event of Scottish independence. The philosophers who endorse the freedom of association argument are happy to embrace the possibility of repeated secession (see here and here), or something close to it, but most will balk at it. It is clearly not something that the SNP would favour, anymore than the UK government. Despite mass support for a referendum within Catalonia, Spanish Prime Minister, Mariano Rajoy, has refused to grant one. Photo by Pere prlpz. We remain then at a loss as to how the Scottish independence referendum can be justified. Nevertheless, many people will still maintain that it is justified and that the alternative approach, modelled by Spain, of denying a region a vote on its future, even after it has signalled its desire for one, is mean spirited, if not unjust. Cameron got it right, where Rajoy got it wrong. This certainly was the view taken by my students when we debated the matter in class some weeks ago. And indeed, there does seem to be something to be celebrated in the fact that this referendum is going ahead. In many parts of the world, secessionists are treated as criminals, subject to arrest, torture and other human rights abuses. Secession is granted only after many years of violence and sometimes not even then. When David Cameron met Sri Lankan president Mahinda Rajapaksa, at the Commonwealth summit last month, there was a marked contrast. Rajapaksa presided over a military victory against secessionists; preventing the break up of Sri Lanka and, the UN claims, killing thousands of civilians in the process. Cameron is prepared to permit the break up of the UK without a single shot being fired. This contrast too seems to be to Cameron’s credit. Perhaps the best that can be said on the subject is something like the following. Where the borders between existing states lie is, in truth, rather arbitrary. Today’s world map is largely the product of a history of conflict, colonialism, ethnic cleansing and gunboat diplomacy. In this context, perhaps what we should be looking for is not so much some ideally just principle for refashioning the borders of states, but rather some means by which decisions regarding territory and secession can be made that will keep most people happy or at least minimise violence. Since many seem to believe in the principle that large and distinctive areas, such as Scotland and Catalonia, should be able to unilaterally determine their own futures, then perhaps this is the rule that we should urge states to adopt. But notice that this argument for the “let the disputed area decide” rule is parasitic on people’s belief in that rule; it cannot justify that belief. If there is a deeper argument for why, as a matter of principle, it should be left to Scotland, Catalonia or any other region to decide its future, the argument remains mysterious. This entry was posted in Scottish independence on December 2, 2013 by kieran oberman.